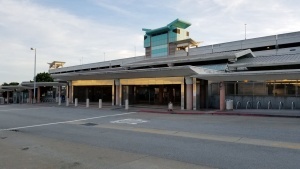 This station offers easy access from 280 and Highway 1. Platform 2: to SF/East Bay. 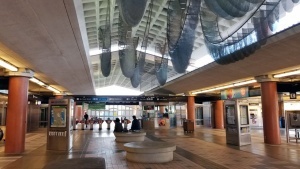 Due to multiple ownership of the spaces at Colma, there are different fees and policies between the parking in the garage and the surface lot west of the station. To pay the daily parking fee for the garage, remember your space number, enter through the faregates into the paid area and pay at an add fare machine. Monthly parking permit for unreserved spaces in the garage is available. * To pay for parking for the surface lot, remember your space number, and go to a parking pay station located in front of the pedestrian overpass leading to the station. Monthly parking permit only for this lot is available through SamTrans. Call 1-800-660-4287 for details. This page was last edited on 3 November 2018, at 21:54.